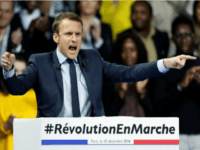 PARIS (AP) — President Emmanuel Macron’s party, including untested novices, will be sweeping into the lower house of the French parliament, hogging a clear majority of seats after winning an overwhelming victory in Sunday’s elections and clinching the young leader’s hold on power. 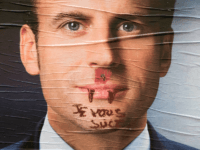 PARIS (AP) — Candidates in the runoff of French parliamentary elections are hitting the campaign trail to try to lure voters to cast ballots next weekend after a record abstention rate in the first round and a likely sweep by President Emmanuel Macron’s new party. 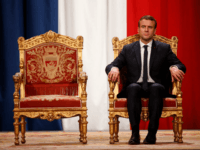 PARIS (AP) — In order to govern properly, Macron’s fledgling political movement La Republique En Marche (Republic On the Move) must now scramble together a majority of lawmakers in June’s parliamentary elections. 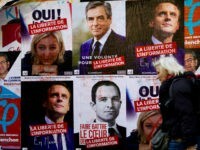 PARIS (AFP) – A third of French voters declined to choose between centrist Emmanuel Macron and far-right leader Marine Le Pen in Sunday’s presidential election, either abstaining or spoiling their ballots — a record rate in nearly half a century. 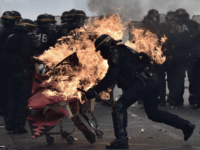 PARIS (AP) — Police arrested 141 people overnight in eastern Paris in clashes with masked protesters after the election of pro-business independent Emmanuel Macron as France’s new president. 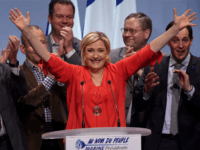 PARIS (AP) — Michael Roth, Germany’s deputy foreign minister, says the result was marred by right wing candidate Marine Le Pen getting 11 million votes. 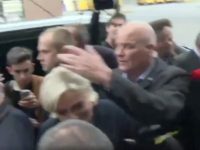 Populist French presidential candidate Marine Le Pen has been pelted with eggs as she arrived at a public appearance on the campaign trail in Brittany. 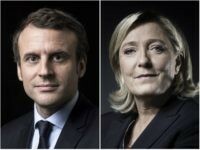 PARIS (AP) — Emmanuel Macron and Marine Le Pen are preparing for their one-on-one televised French presidential election debate, with much at stake for both contenders. 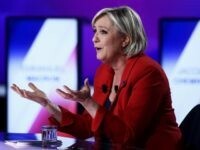 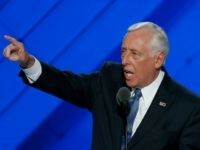 PARIS (AP) — Marine Le Pen deliberately plagiarized verbatim parts of an address from a former presidential candidate, as a “wink” to him and the voters she hopes to peel away in a runoff, her spokesmen said Tuesday. 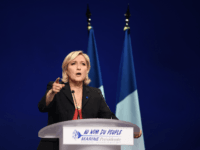 PARIS (AP) — Centrist presidential candidate Emmanuel Macron has launched a political offensive against far-right leader Marine Le Pen, saying her platform is based on the “hatred for others” in contrast to his desire to “calm” the country. 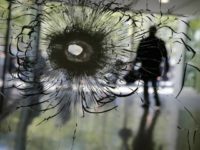 PARIS (AP) — The Paris prosecutor says the Champs-Elysees attacker had a note defending the Islamic State group with him when he opened fire on police officers. 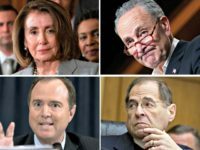 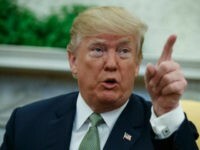 President Donald Trump predicted that Thursday’s terrorist attack in France would directly affect the results of the presidential election. 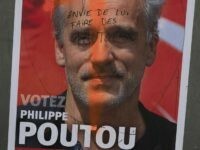 PARIS (AP) — Far-left presidential candidate Philippe Poutou is blaming French politics for the deadly attack on Paris’ Champs-Elysees, in which a police officer and the attacker were killed. 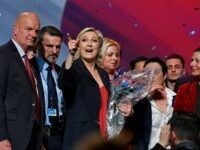 PARIS (AP) — Right-wing presidential candidate Marine Le Pen vowed on Wednesday to end the fear of terrorism in France and stamp out the “poison” of Islamic radicals, holding her final rally in the southern port city of Marseille, where police arrested two men a day earlier on suspicion of plotting an attack around this weekend’s vote. 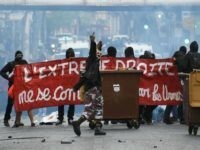 PARIS (AP) – Hundreds of protesters have marched in Marseille against French right-wing presidential candidate Marine Le Pen, ahead of her final rally in the southern port city. 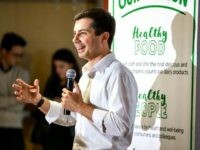 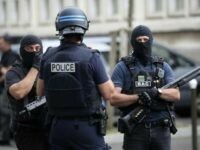 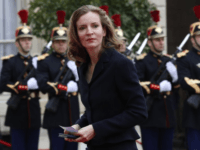 PARIS (AP) — Extremism concerns shook France’s presidential campaign Tuesday as authorities announced arrests in what they said was a thwarted attack and candidates urged tougher counterterrorism efforts for a country already under a state of emergency. 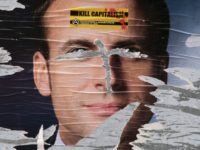 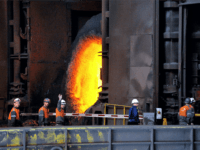 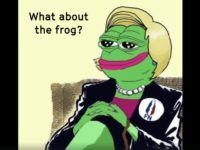 HAYANGE, France (AP) — Two things now grow around the rusting carcasses of the last blast furnaces in this French steel town: weeds, and votes for populist Marine Le Pen. 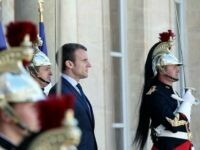 TEL AVIV – French presidential frontrunner Emmanuel Macron on Sunday slammed the boycott movement against Israel as anti-Semitic and said that recognizing a Palestinian state at this stage would serve no purpose. 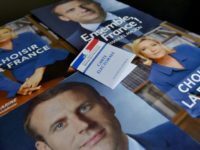 LA FERTÉ-SAINT-AUBIN (FRANCE) (AFP) – Having a flutter on the horses in his local bar, Eric Belouet picks his favourites without hesitation. 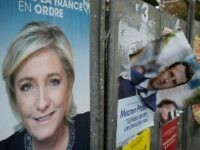 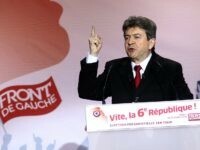 But when it comes to France’s presidential election, he can’t make up his mind. 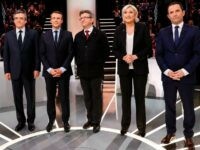 PARIS (AFP) – French right-wing presidential candidate Francois Fillon on Thursday accused President Francois Hollande, a Socialist, of orchestrating media leaks that have dented his image as a scandal free leader a month ahead of the key vote. 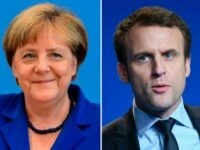 BERLIN (AP) — French presidential candidate Emmanuel Macron pledged strong commitment to European unity and said that France needs to restore its economic credibility as he presented his plans to German leaders on Thursday. 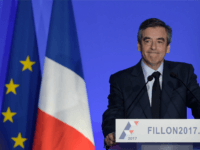 PARIS (AFP) – French presidential candidate Francois Fillon on Monday defended his radical economic plan and proposed a measure to clean up politics, two days before a key meeting with judges investigating him over a fake jobs scandal. 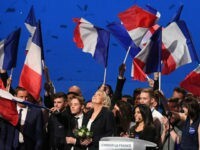 Marine Le Pen is supported by a quarter of young voters in France, a poll suggests, the same proportion as her centrist, liberal rival Emmanuel Macron. 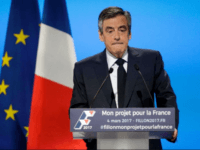 PARIS (AP) — French conservative candidate Francois Fillon has unveiled new senior positions in his campaign team following the resignation of some members last week amid a corruption allegations scandal.